James Turner Johnson is Distinguished Professor in the Department of Religion at Rutgers University-The State University of New Jersey (USA). 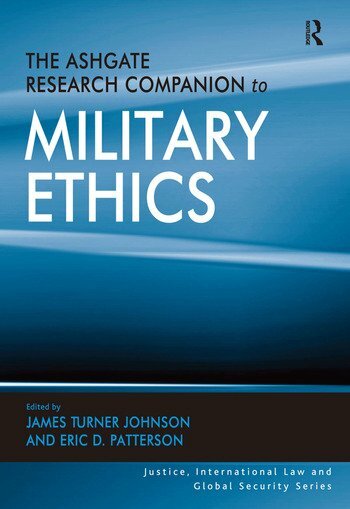 Johnson is a former Guggenheim, Rockefeller, and National Endowment for the Humanities Fellow, and also served for nine years as founding Co-Editor of the Journal of Military Ethics. He received his Ph.D. with distinction from Princeton University in 1968. Eric D. Patterson is Dean and Professor of the Robertson School of Government at Regent University (Virginia Beach, Virginia) and Research Fellow at Georgetown University's Berkley Center for Religion, Peace, & World Affairs, where he previously served as Associate Director for four years. He has served as a White House Fellow, at the U.S. State Department, and 17 years as an Air National Guard officer.